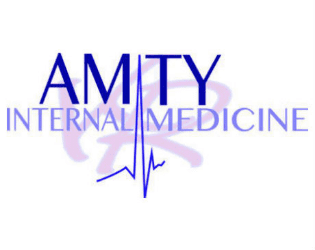 Karen Russell-Little, MD, of Amity Internal Medicine and Total Body, is passionate about providing quality care to all of her patients, but in this day and age, she knows there is something lacking in the world of medicine: the sanctity of the doctor/patient relationship. As a longtime practitioner, Dr. Russell-Little is just as committed to forging close bonds with each one of her patients as she is to treating them. Dr. Russell-Little and her entire staff are dedicated to helping you live a healthier, more active life and become the best version of yourself — inside and out. Whether you need access to internal medicine services such as vision screening, cancer screening or weight management, or aesthetic services such as noninvasive aesthetic procedures, personal training, or nutritional counseling, Dr. Russell-Little and her team can help you navigate your health care with the care and compassion that you deserve. For personalized care in all aspects of your health journey, call Amity Internal Medicine and Total Body in Bloomfield, Michigan, or schedule an appointment with Dr. Russell-Little online today. You will receive world-class, comprehensive care with a personal, compassionate touch. You’ll have access to family medicine, primary care, several specialists, and number of other services available nearby. And, because we’re affiliated with Beaumont and The DMC, you will also have access to the extensive resources of a major hospital. We will help you stay healthy by reminding you of preventive checkups and tests, managing chronic conditions, coordinating specialists, and more. Talk with us about your questions and concerns. Tell us about any and all medications you take—including over-the-counter medicines—so we can help you prevent unwanted interactions. Call us before you go to an emergency room or hospital. If this is not possible, please let us know as soon as possible. When you go to an emergency room or hospital, let them know who your primary care physician (PCP) is and share information about the visit with your PCP. Take care of your health, and follow the self-care plan you and your health care team work out together.